Saturdays and Sundays at this time of year will find neighbors gathered for brandings. Everybody does things a little differently, but the one thing you'll find at nearly every branding is a cooler full of expensive, essential vaccine. 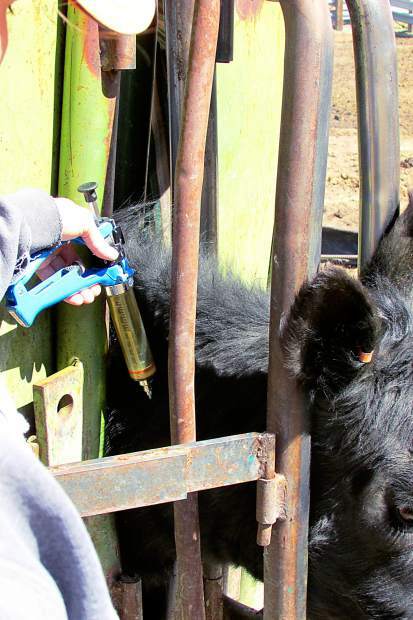 "Watch your surroundings when injecting and keep it as safe as possible; prevention is key," said Hallie Noland, co-owner and veterinarian at Sage Veterinary Services, in Baggs, Wyoming. "You're working with live animals. Precaution should always be used when handling any medications that can cause severe health issues. Never handle the needle itself, always change the needles often, and always have a sharps container for the used needles," said Lisa Dixon, of Dixon Cattle Company, a company that has been around for more than 30 years that had a custom processing crew in Kansas that tested the Synovex and Revelor guns and many drugs. Hallie's husband and co-owner of Sage Veterinary Services Ben Noland said, "Needle sticks can cause bacterial infections and cellulitis, and from a dirty needle, tetanus is a concern. 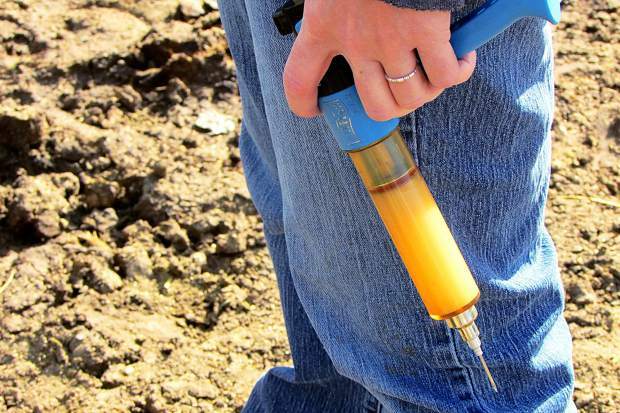 Micotil is very deadly; a person will have heart problems if injected." "Other vaccines will hurt like the dickens," Hallie said, "LA200 and Biomycin are two of them. 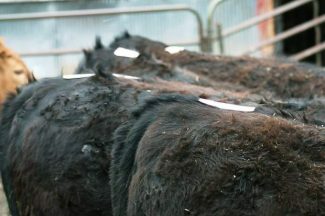 Bangs, which is a modified live vaccine, can cause a person to get brucella. The blanket thing is to avoid being stuck, or, if you do, call quality control." 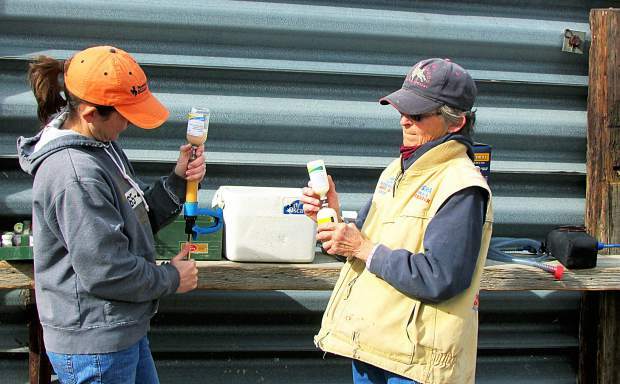 "For women, Regu-Mate can cause reproductive problems," Hallie said. "Lutalyse, Estrumate, and prostoglandins cause women to abort if pregnant. Regu-Mate can cause women to lactate; oxytocin as well as it's used for milk letdown and contractions." 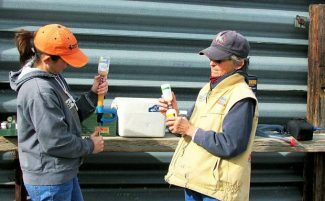 "You definitely want to make sure if you just poke yourself to wash it with soap and water and make sure you're up to date on tetanus, then you can wait and see how it does before seeking medical treatment," Ben said. "If you inject something into yourself, you want to consider going to doctor; you probably don't need an ambulance ride. Being up to date on tetanus is pretty important and watch for bacterial infection at the site of the needle stick." 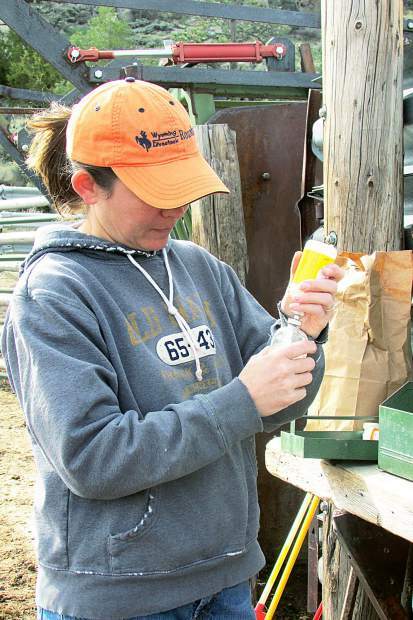 Michelle Duncan, a rancher and EMT in Dixon, Wyoming, said she prefers to check an accidental needle stick than deal with it after it has turned into something more severe. Never give yourself animal medicines, Ben said. The doses are not designed for human use, even if weights when dosing are the same. "I would advise not to give yourself animal products; they are not tested on humans for safety and could be harmful or fatal," Ben said. "Practice one-handed injection techniques," Ben said. "Many people pinch with one hand and inject with another; don't do that. Using proper animal restraint is important. 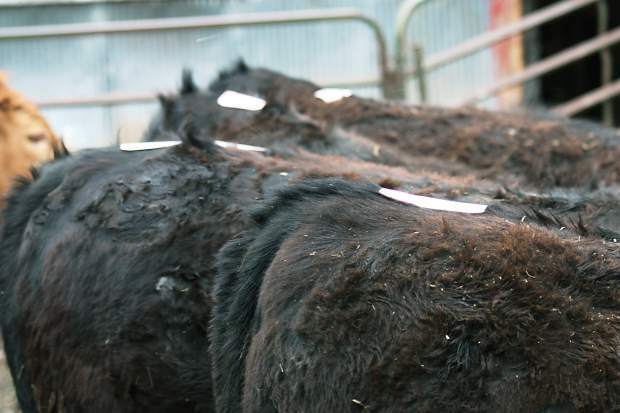 That's where a lot of those sticks happen, when a calf is kicking and jumping around." "I'm all in favor of being tough, but we are a minimum of 35 minutes to an emergency department and a one-hour helicopter ride to the nearest trauma center," Duncan said. "Please err on the side of caution. I can tell you from both personal and professional experience that if you don't, the results aren't pretty."